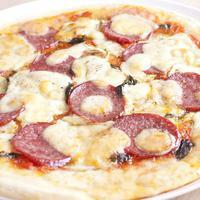 This light and easy-to-make pizza is more of a bread than a pizza, as it has only one topping — cheese. 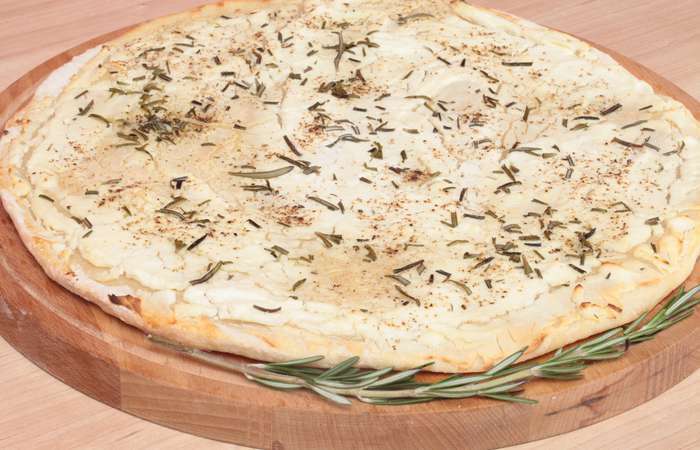 In fact, in some parts of Italy, pizza bianca is topped only with rosemary, olive oil and coarse salt. 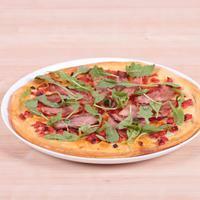 But we strongly believe that without the mild flavor of ricotta cheese this pizza will lose half its charm. 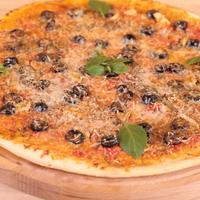 Step 2: The first thing you need to do is turn on your oven and preheat it to 220˚C/ 430˚F. 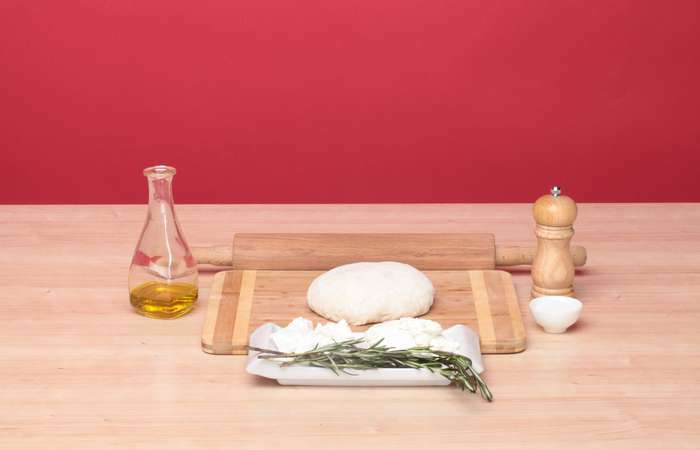 While waiting for the oven to heat, prepare your ingredients. 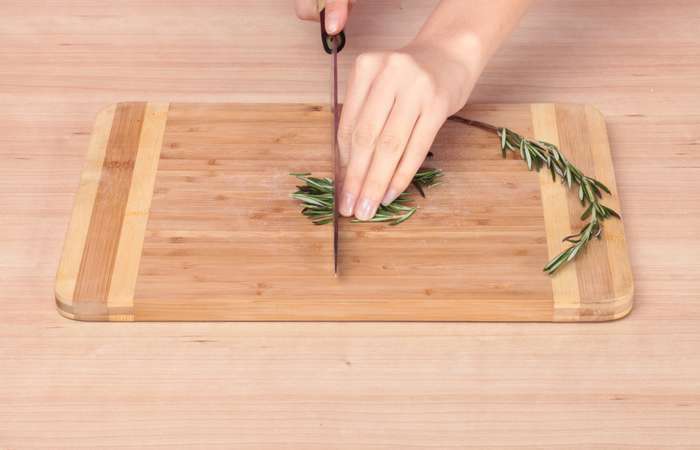 Start with chopping the rosemary finely. 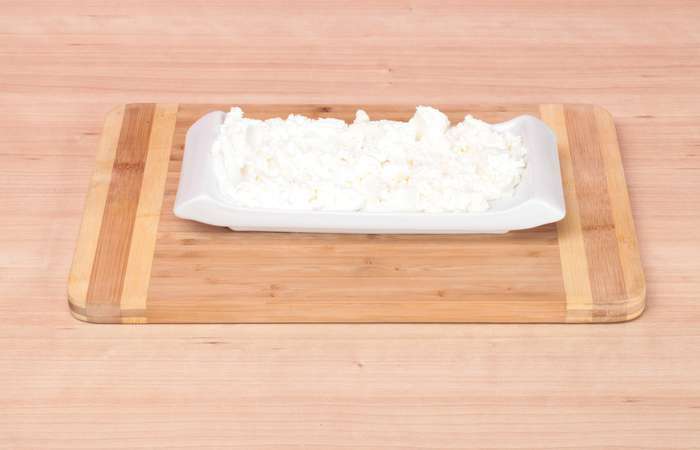 Step 3: Mash the cheeses with a fork and blend them together. 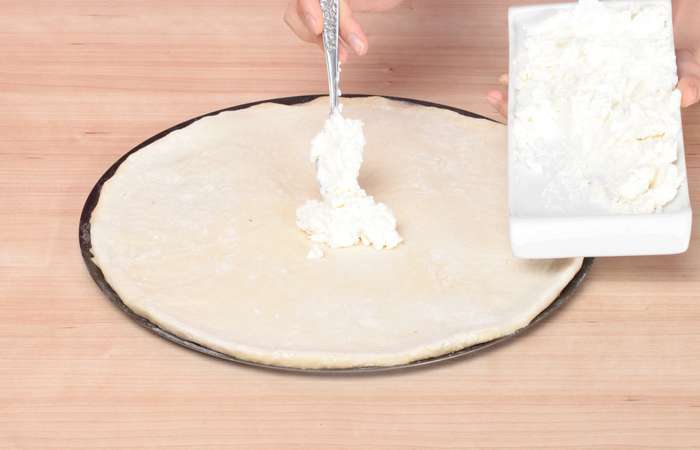 Step 4: Now let’s roll out our pizza. 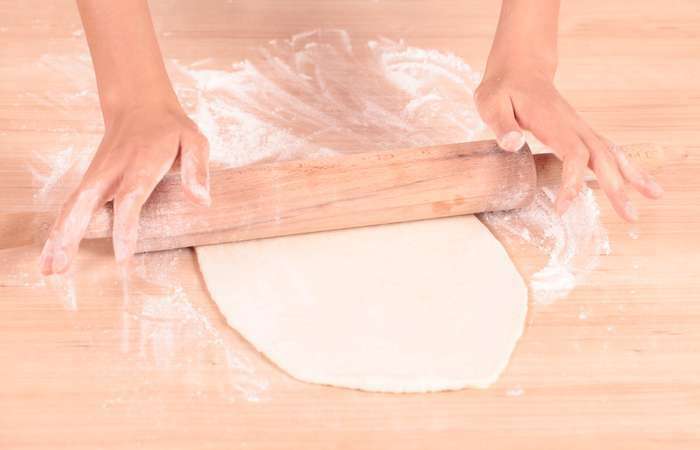 You may stretch the pizza dough with your knuckles like all professionals do, but it’s always easier to use a rolling pin. 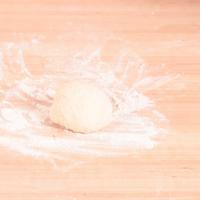 Sprinkle the table with flour, dip the dough in the flour as well and roll it into a thin sheet. 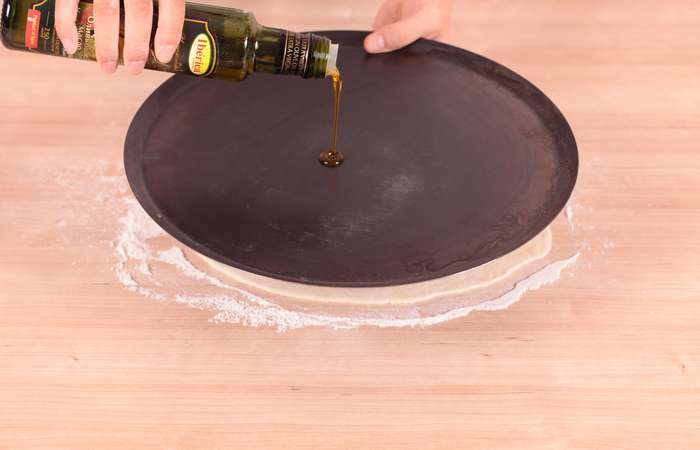 Step 5: Put the crust on an oiled pizza screen. 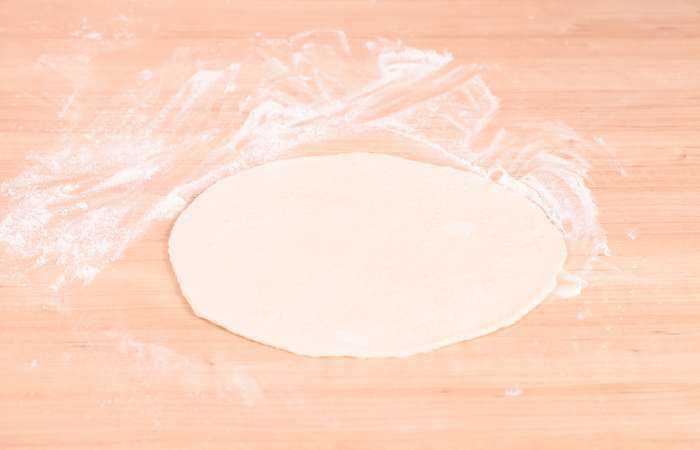 Don’t worry if the crust loses its shape while you handle it — just shape it into a circle again and don’t worry about the small folds that you might get. 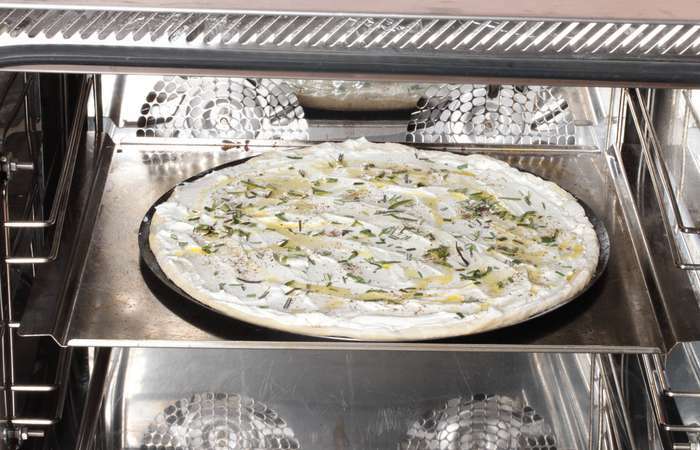 Tip: If you don’t have a pizza screen, you may use a baking sheet turned upside down (so that you can easily take your pizza off the sheet). 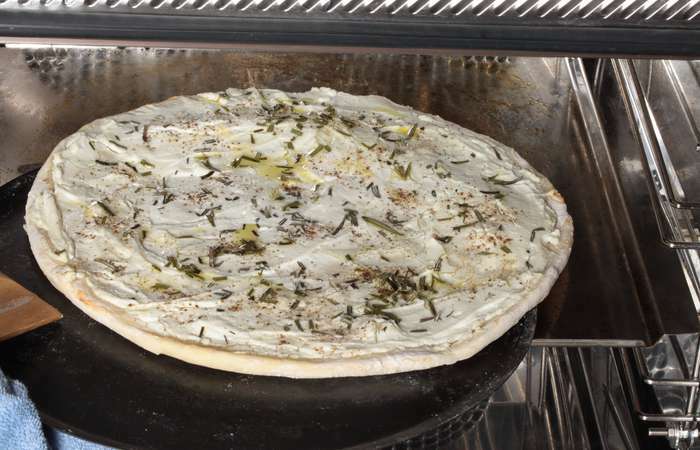 And if you are lucky enough to own a pizza stone, don’t forget to preheat it for about 20 minutes before putting your pizza on it. 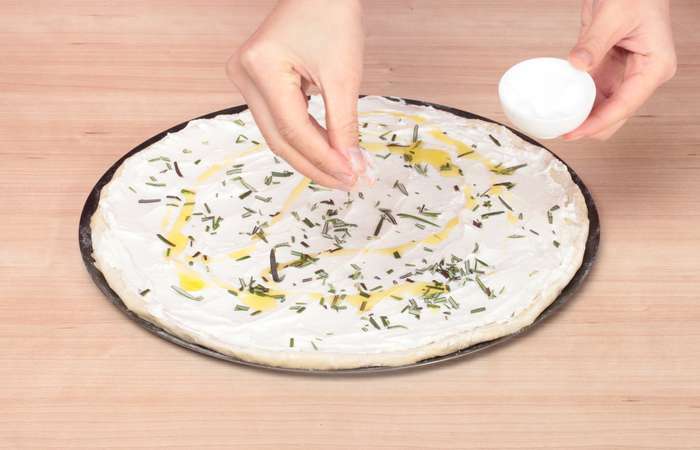 Step 6: Spread the blend of cheeses on the crust with a spoon. 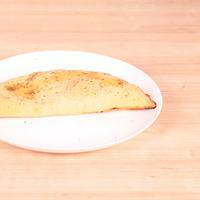 Leave the edges without cheese. 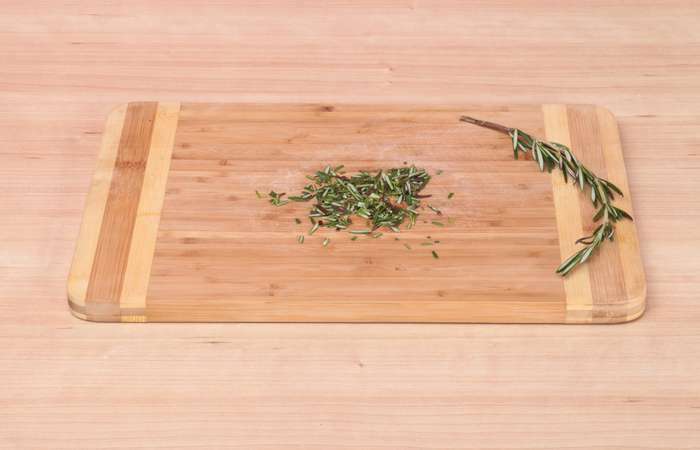 Step 7: Sprinkle with chopped rosemary. 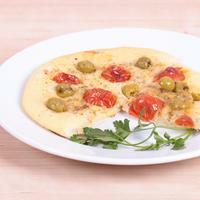 Step 8: Drizzle with olive oil. 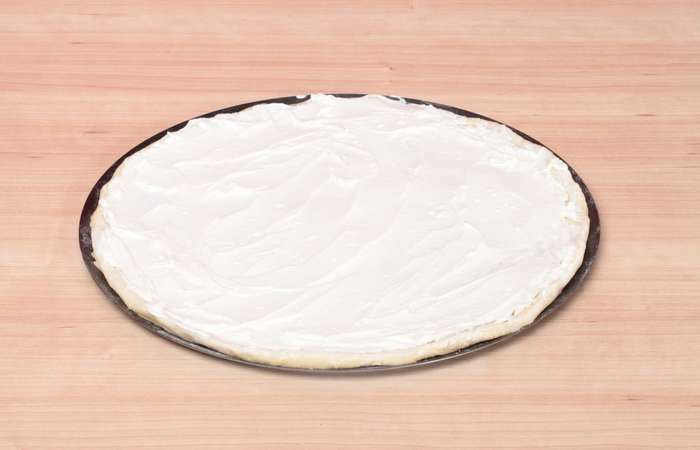 Step 9: Season with salt and pepper. 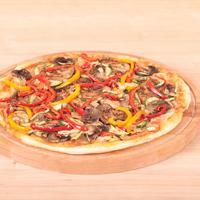 Step 10: It’s time to put our pizza in the oven! 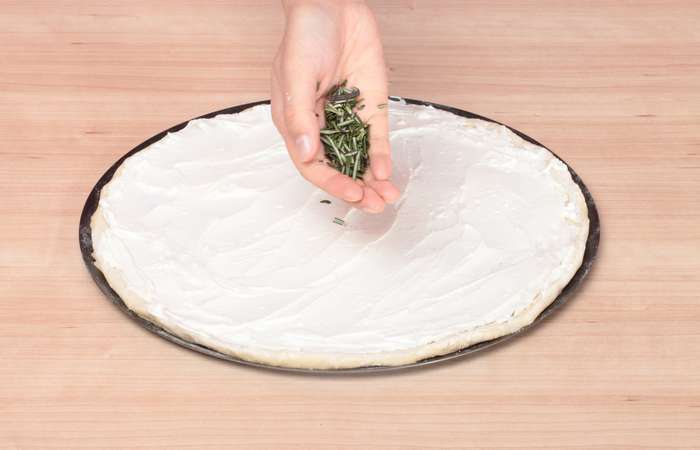 Keep it in the oven for about 15-20 minutes — it can take more or less than that depending on how quickly your oven bakes. 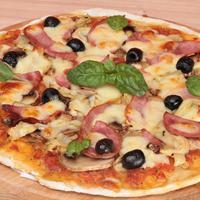 Tip: Rotate the pizza screen a couple of times while baking to make sure that the pizza cooks evenly. 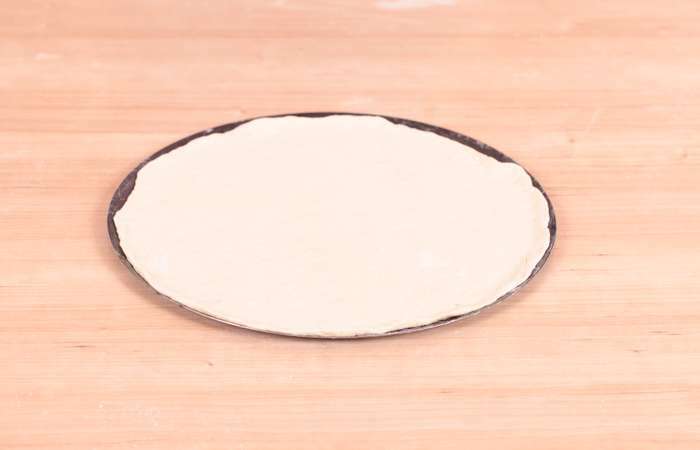 Step 11: A pizza screen won’t let your pizza get a well-cooked crispy bottom. 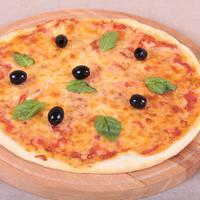 To achieve a nice crispy pizza, take it off the screen a few minutes before it has finished baking and put it on a baking sheet. 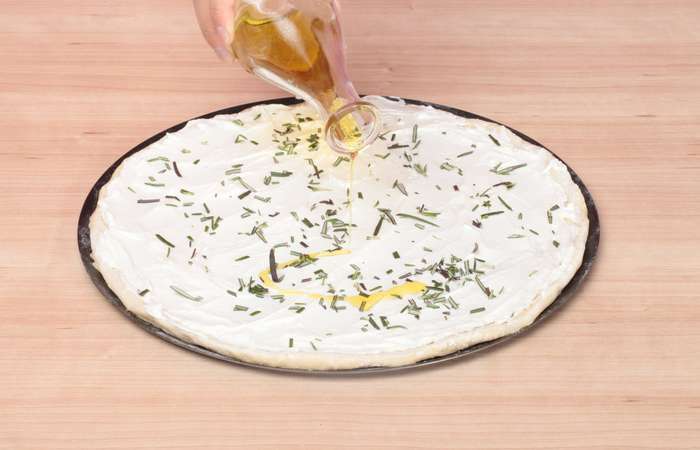 Bake the pizza on the sheet for 3-5 minutes more until its edges turn golden. 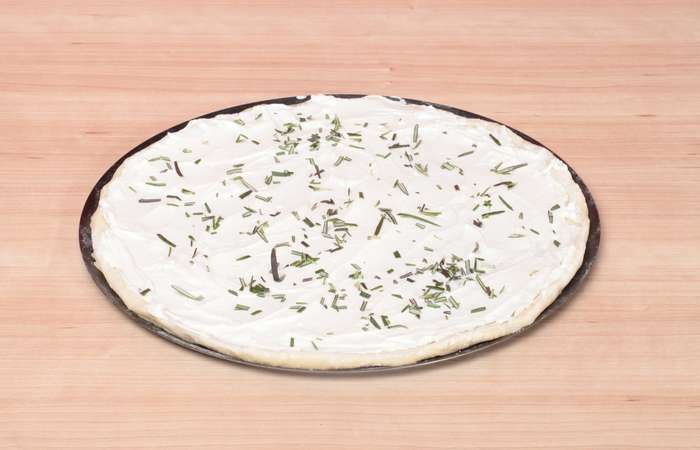 Step 12: Pizza bianca is done! 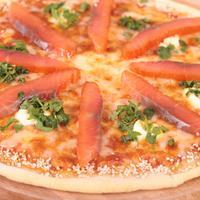 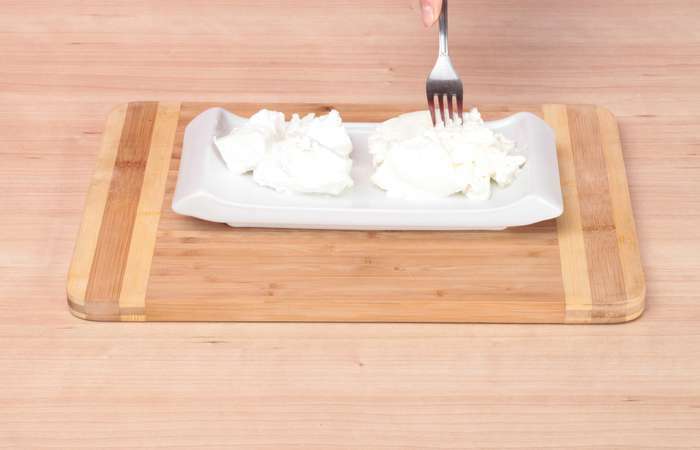 Slice into eight pieces and serve.